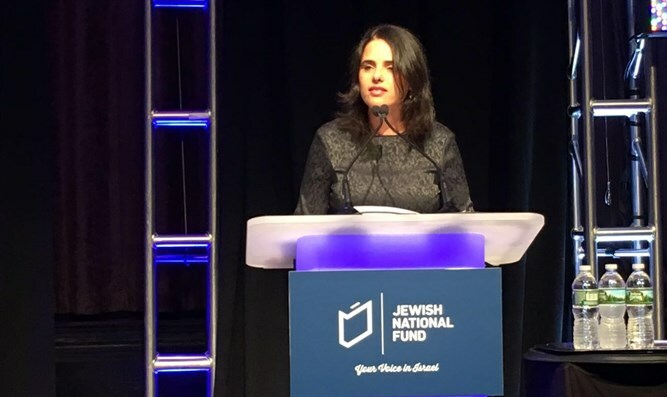 'BDS is the new face of terrorism,' Ayelet Shaked says during JNF conference in New York. Speaking during the event, Shaked slammed the BDS movement, calling it "a new extension of terrorism." "BDS is the new face of terror. While in Gaza [terrorists] are digging underground tunnels into Israel, the BDS movement is digging tunnels to undermine the foundations and values of Israel. We have to stop these tunnels as well." "Supporters of the BDS movement," Shaked added, "are attempting to smear our very right to exist. They refuse to accept our most natural, basic, and simple right - the existence of the State of Israel.